The recent publication of the book I am Dandy, by Rose Callahan and Nathaniel Adams, has put the idea of dandyism back in the spotlight. While the word is casually thrown around it’s hard to define, especially as it seems to be popularly understood to mean the exact opposite of what it originally intended. Most of the men in the book are, at least in the traditional sense, fops rather than dandies. The key to the idea of dandyism is, I’d suggest, an understanding of the context in which it first emerged. At the end of the Eighteenth century men of fashion used their clothes to display their wealth. They did this with an abundance of rich, colourful fabrics, which we’d now consider determinedly feminine, and laboured the point by attaching jewels to their clothes. Grooming consisted of voluminous powdered wigs, and full make up. There’s a great scene in the BBC’s This Charming Man, a dramatization of the life of George ‘Beau’ Brummell (it’s up on YouTube) in which Brummell meets the Prince of Wales, later George IV, while the latter is dressing in the foppish fashions of the day. Asked for his opinion, Brummell pulls his punches by suggesting that the Prince’s appearance may be suffering from, “A little too much taste”. 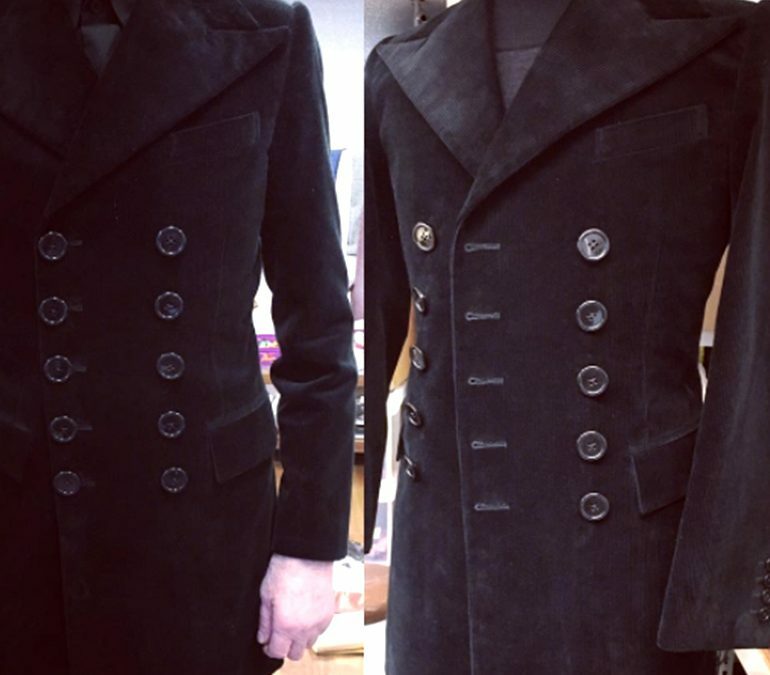 Brummell’s innovation was to transform the vision of male elegance from such a peacock display to a far sleeker, more physical form. This emphasised the body, dramatically shrank the colour palette, and re-established the classical link between restraint and sophistication that exists to this day. What Brummell shares in common with today’s dandies is that he was conspicuously swimming against fashion’s prevailing currents. For some that alone defines a dandy – it’s certainly the message one takes from the book. Others consider a mood of detachment to be a necessary quality, and this calls for a certain carelessness, rather than a theatrical air. The dandy inhabits a role, and to bring it off he needs to play it with total conviction, something that’s hard to achieve if your idea of dressing is everyone else’s idea of dressing up.